Courtesy of the John W. Barriger III National LIbrary. The GN mainline is on the far right, the GN sidingis to the left. New to me is the crossover track near the interchange with the NP CW branch. Note the boxcar on the interchange track. Crab Creek is flowing on the left. 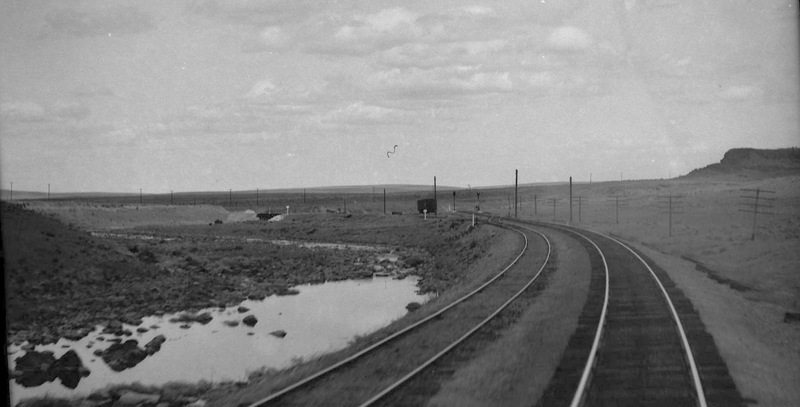 The NP had an agreement with GN in the early days of the 20th century to use the GN siding to access the NP engine facility behind and to the left of the photographer. Note the NP bridge over Crab Creek to the left of the boxcar. 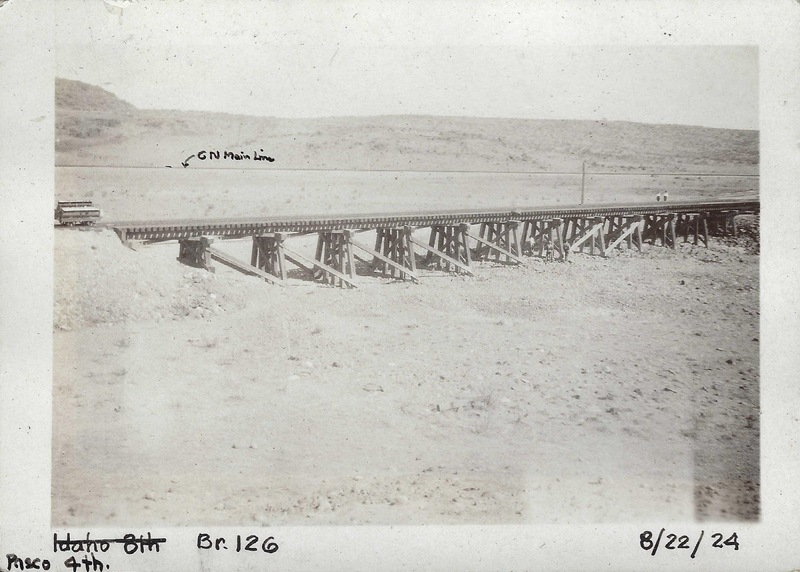 In this 1926 view, courtesy of the NP Telltale, is bridge 126 over Crab Creek, the same bridge seen in the above view.